CHARLESTON — West Virginia Supreme Court candidate Bill Schwartz wants to make ensure the court is predictable and respects taxpayer money. Schwartz, a trial lawyer with Harvit & Schwartz, said his campaign is going well, but he finds it somewhat difficult not to be critical of the legislature or of the court. "People are constantly mentioning to me that they feel the West Virginia government is tearing itself apart," Schwartz said in an interview with The West Virginia Record. "As a candidate, I can’t really respond to that because there may be something that comes up in the future that I have to decide upon"
Schwartz said he doesn't comment when people ask what he feels about the court or the legislature. "However, we are at a critical stage here," Schwartz said. "Every day new news comes out that I, as a candidate, have to field questions on. Most of the time, I have to restrain myself in answering those questions." Schwartz said he constantly comes back to the reason he is running: he believes there is a broken system. "I’m there to fix it and I need their help to fix it," Schwartz said. "I need their help to help me fix it. All anybody wants is confidence when they go to the court that they’re going to get a fair hearing and that Lady Justice has a blindfold on—that they’re not going to be treated any different from a governor or a janitor, and that’s what I bring to the table." Schwartz said he believes there are too few people at the table making decisions for the rest of West Virginians. "The people who are not at that table are on the menu," Schwartz said. "My goal is to put us on the table—get as many people as possible off the menu and put them at the table. The only way the people are going to get themselves at the table is to vote. My goal is to get as many people out there as much information about me as possible. I’m one of the solutions to fixing this problem. The only way to get a seat at the table is to vote. Don’t sit at home, get out Nov. 6 and get your seat at the table because if you don’t, you’re going to be on the menu." Schwartz said if elected, one of his priorities is to sit down the rest of the court and choose the proper person for the court administrator job. "I believe that the problems we’re dealing with — the financial problems, the overspending problems — started with a lack of control of the court administrator," Schwartz said. "Part of your job as a Supreme Court justice is to keep control." Schwartz said he personally believes the job of a justice on the court is to make sure that court administrator sees him on a regular basis. "If I’m up there, that court administrator is going to get tired of seeing me," Schwartz said. "I’m going to make sure what he spends. I don’t want to get blamed for his problems. And if on my watch, he does this again, it’s on me. And it should be on me. Just like when I run my office, if my secretary does something wrong for a client, it’s on me." He said he believes justices must have predictability in their decisions. "I want to make sure to increase the number of oral arguments," Schwartz said. "I want to make sure people know they have access to the court. I’m going to make sure we have fair, consistent, prompt rulings. Justice delayed is justice denied. If you have a case up there we are going to try to get it resolved as quickly as possible and as fairly as possible. Predictable, quick and fair results will begin to build confidence back in the court." He said recusal goes hand-in-hand with predictability. "Recusal means the judge removes himself when he believes he has an interest in it," Schwartz said. "Or he thinks the public may think he has interest in it. You don’t rationalize this. You don’t say, ‘Well, I believe I can be fair even though it’s my brother or my lawyer on the other side.’ You ask yourself what is the public going to think about this? That's reasoning enough for me to recuse myself even if I could rationalize it in my own head that I think I could be fair. I don’t trust that. I don’t trust me to make that call. I trust the perception to the public." Schwartz said justices also need to respect taxpayer money. "You have to treat it like it’s your family’s money because it is your family’s money," Schwartz said. "It’s your taxes, it’s your neighbor’s taxes. It’s your children’s future. Treat it like that. If you treat it like that and not like it’s somebody else’s money that you don’t have to worry about, we won’t have these problems." He said it's important that he's not a politician. "At this time we don’t need politicians appointed by other politicians to take control of our court," Schwartz said. "We need lawyers with a deep background, experience and respect for the law to take control of our court." 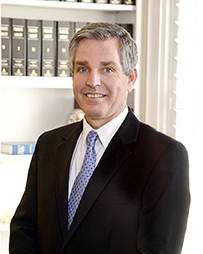 He has more than 30 years experience practicing law throughout the state of West Virginia. "There is a reason I have never gotten into politics before," Schwartz said. "I love what I do and I feel committed to my clients," adding that he is running because he believes lawyers like him need to be on the state high court. "I have the respect of my opponents, the respect of my clients, and the respect of the judges," he said. "If I get on that court, those trial court judges have seen me in their courtrooms and they’ll know Bill Schwartz is up there and Bill Schwartz is a winner. He’ll help us get out of this." Schwartz was selected by the National Trial Lawyers Association as one of the top 100 lawyers in West Virginia. He earned his law degree from Washington & Lee and his bachelor's degree from St. John's University. Schwartz lives in Charleston with his wife Monica and his two sons, Joseph and Henry. MARTINSBURG — Charleston Attorney William “Bill” Schwartz said he thinks he can help the West Virginia state Supreme Court of Appeals to be trusted again by Mountain State voters. A partner with Charleston-based Harvit and Schwartz, Schwartz is one of the 20 judicial candidates vying for one of the two open state Supreme Court seats in the Nov. 6 election. Schwartz is running for the Division 2 seat. Schwartz, who has practiced law in West Virginia for 30 years, said his top priority will be to fix the state court system’s money management, which he blames for the profligate spending by the court’s justices. Schwartz said that extravagant spending is a sign the court’s checks and balances have broken down. As a justice, Schwartz said he would restore those checks and balances. As an attorney, Schwartz said he’s developed a reputation as being a strong-willed lawyer, something he sees as requisite to working in law. He believes he can funnel that passion as a court justice. Mandated by West Virginia law, county drug courts have been set throughout the state. However, Schwartz said it’s now time to set up a separate court to handle the disenfranchised children of opioid-addicted parents. “Maybe an entire new section of the court has to deal with just these kids,”Schwartz said. “Not just a drug court for the opioid user, but a court for their kids. There’s a lost generation that just being left behind, and we’re sitting on $32,000 couches while it happens. Schwartz promised social workers he met along the campaign trail that, if elected, he would address the issue. West Virginia continues to demonstrate to the rest of the country what a real constitutional crisis looks like. While problems exist in many states, no other state now shows the potential of what can happen when a state government actually begins to tear itself apart. I wish this was not how our state is described in national news. This debacle stems from misuse of taxpayer money by justices on the Supreme Court, as well as the court administrator. The Court spends about $130 million a year to run our system of justice from magistrate courts up to circuit courts and staff. About 1,500 employees and support take up 80 percent of this $130 million. The rest is discretionary. Some time back the members of the court decided on office renovations. Somehow an $800,000 budget ballooned to over $3 million. Often the Court Administrator needed approval for spending from the justices. One of the rooms to be renovated was a little-used place called room E-400. Apparently to save time, or for some other reason, the Administrator was given blanket authority to work with contractors to renovate this room. There may be some question as to whether Justice Loughry informed fellow justices about what happened next, but spending began to escalate. We taxpayers bought $32,000 couches and expensive chairs. Room E-400 became a black hole where our tax dollars got sucked away. There is some dispute as to whether the justices were aware of the administrator’s actions. He insists they were. It doesn’t matter. If they didn’t know they should have. 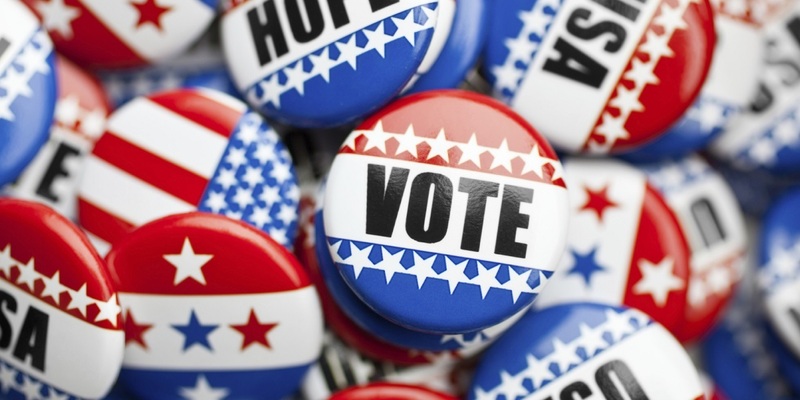 I am not a politician, but I am a lawyer with deep respect for the law - and I vote. If 300,000 or more of my fellow citizens join me on Nov. 6 we can take our state back. We can take a seat at the table. If we don’t vote and are not at the table we will continue to be on the menu. We will be served up on fine china to an opulent court and so will our children, and our future. Our Court system is broken. I’m Bill Schwartz, Please, help me fix this. My Op-Ed appearing in newspapers around the state. West Virginia continues to demonstrate to the rest of the country what a real constitutional crisis looks like. While problems exist in many states, no other state now shows the potential of what can happen when a state government actually begins to tear itself apart. I wish I was exaggerating. I wish this was not how our state is described in national news. This debacle stems from misuse of taxpayer money by justices on the Supreme Court, as well as the court administrator. The Court spends about $130 million a year to run our system of justice from magistrate courts up to circuit courts and staff. About 1,500 employees and support take up 80% of this $130 million. The rest is discretionary. Some time back the members of the court decided on office renovations. Somehow an $800,000 budget ballooned to over 3 million dollars. Often the Court Administrator needed approval for spending from the justices. One of the rooms to be renovated was a little used place called room E-400. Apparently to save time, or for some other reason, the Administrator was given blanket authority to work with contractors to renovate this room. There may be some question as to whether Justice Loughry informed fellow justices about what happened next, but spending began to escalate. We taxpayers bought $32,000 couches and expensive chairs. Room E-400 became a black hole where our tax dollars got sucked away. There is some dispute as to whether the justices were aware of the administrator’s actions. He insists they were. It doesn’t matter. If they didn’t know they should have. A justice needs to apply the law fairly to all parties. We also demand responsible spending of our tax dollars by all branches of government. We can never again have a black hole sucking away our tax dollars. We can never again have a room E-400. We must make sure we have a reliable Court administrator, and even then, we need to closely and constantly monitor all Court budgets and expenditures. We need our tax money for education, vital infrastructure and to battle the opioid crisis. The new court must select the best administrator and be a vigilant steward in how our money is spent. Better days are ahead for West Virginia. We can be a story about how to turn things around and not a nationally ridiculed state in decline where we are feeding off each other. Civic duty rather than greed must take the day. This is not a dream if we take our rightful seat at the table. Politicians fear only one thing. They fear and respect voters. I am not a politician, but I am a lawyer with deep respect for the law - and I vote. If 300,000 or more of my fellow citizens join me on November 6 we can take our state back. We can take a seat at the table. If we don’t vote and are not at the table we will continue to be on the menu. We will be served up on fine china to an opulent court and so will our children, and our future.